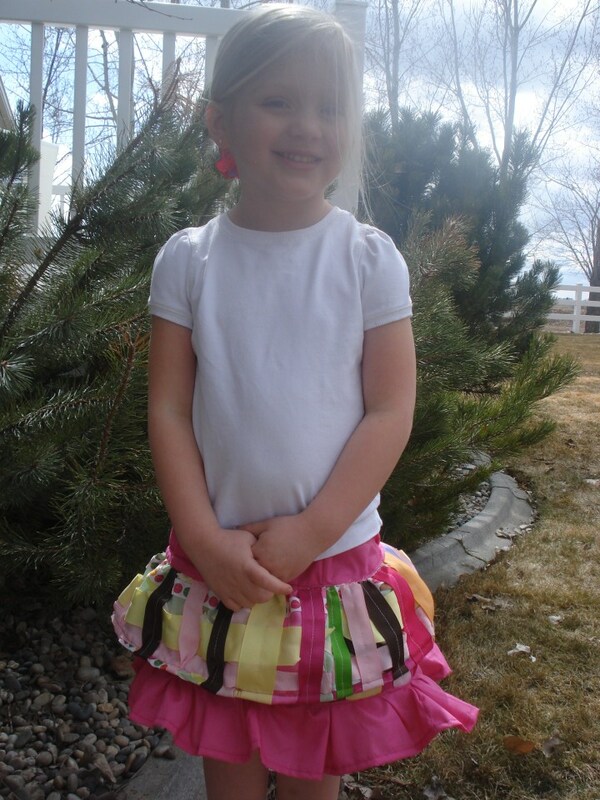 Today, I am really excited to be able to share with you a fun little skirt made with ribbon pieces sewn onto the fabric (creating a ribbon fabric) that I made for my daughter. This skirt can be as complicated or simple as you would like. All I did was copy a skirt that my daughter has. I made the waist band 4 inches wide. The skirt is even made of 2 layers. 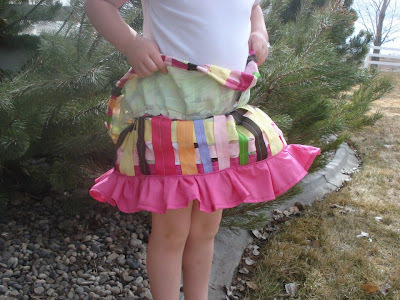 Take the main body part of your skirt and randomly sew ribbon onto the fabric. I used a ton of scrap ribbon that I had from other projects. I sewed on 3 layers of ribbon. The top layer was random small pieces of ribbon that I used steam a seam (1/4 inch) and ironed them onto the fabric so that they would not move while I was sewing them. The next layer of ribbon I sewed them all in a straight line horizontally. The third and last layer of ribbon I sewed the ribbon all vertically onto the fabric. Now between 80-90% of the fabric is covered with ribbon. You don't have to do this much ribbon. If you want, pin the ribbon onto the fabric in the pattern that you are wanting and then sew the ribbon that way. Now trim off the extra ribbon that is hanging over the edge of the fabric. Measure the waist of whoever the dress will fit. My daughters is 21 inches. Now take the other half of the number (21 in my case) which is 10.5 and add 1-2 inches. This is going to be for the back part of the yoke. You want this part to have a little bit of give so that the skirt can stretch over the bootie (or hindy). Then add your seam allowance again. So my new number for the back yoke is 13 inches. Now decide how tall you want your waistband. I wanted mine 3 inches tall. Now for the skirt part: take your first magic number (21 for me) and double it. So now I have 42. Now sew the 2 front yokes together, turn then, then iron the piece flat. Take your back yoke and finish the top edge, then turn it over .5 inches and sew it down to create the place for your elastic to be threaded through. Now take your skirt piece and cut it into the correct sizes (I now have 2 42x4.5 inch pieces. Lay the pieces so that the ribbon side is facing you and then sew around the top part of them (the 42 inch side). Now sew the front and back yoke pieces together to form a circle. Make sure to sew the elastic while you are doing this. Sew the yoke piece to the skirt piece. 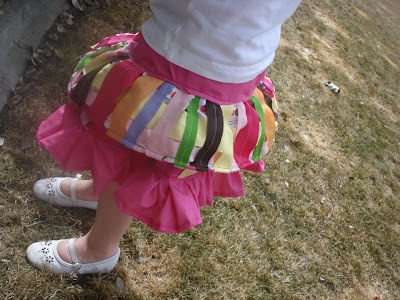 And then sew the ruffle piece onto the skirt. Now you have a unique, adorable ribbon skirt. Hey. I gave you an award! Love it! Come link at my party: Thursday's Treasures!! Bobbie - my girls would love that skirt!! !Cute - I'd like to invite you to come "plant your creative seed" at my blog party "Plant a Punkin Seed at Punkin Seed Productions". It's a party that usually happens on Fridays but its open all this week as I'm having a give away! Come sign up! That is so cute. I love the ribbons. My girls would love that! What a darling little skirt! Thanks so much for sharing! So cute! I love the idea of using ribbon, it gives it so much character! Absolutely darling. Hope you'll come by Atticmag for our really useful giveaway. -- Jane F. Wow!! I love it!! Thanks for linking @Creative Itch's "Sew Cute Tuesday"!! I LOVE this, love it! You should see my ribbon collection- out of control would be the best way to describe it! Ok- that is just too cute for words! Love it! So, So Cute!! 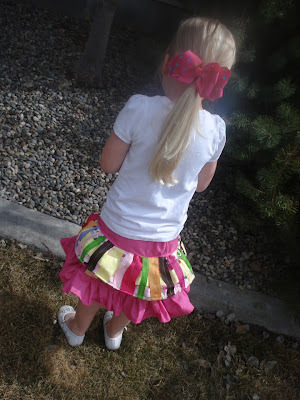 My little one would LOVE wearing one of these skirts! This is SOOO darling!! What a cute idea. Wish I had a girl to dress up in it!! 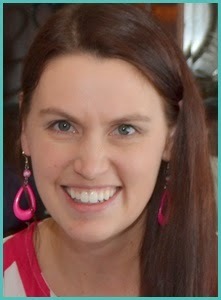 I just found your blog and I love that you have a Saturday linky party. I'll have to link up!! Found you on New friend Friday. Love your blog and nice to meet ya!! 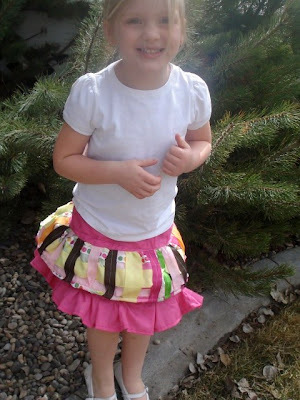 That is the cutest skirt I have ever seen! What a great job, so unique! I followed you here from NFF, I'm off to take a look around! Super cute!! I may have to make one of these soon. :) Thanks for sharing.